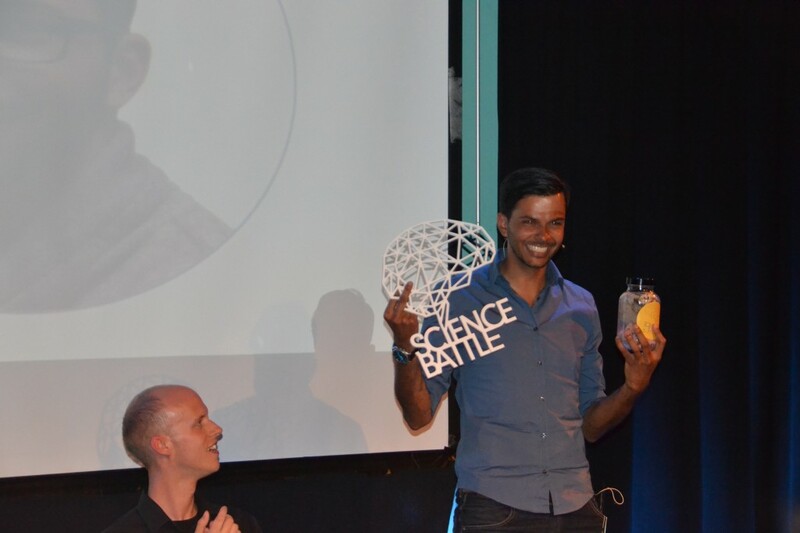 In a packed theater Walhalla, Rotterdam, Jeroen got voted as the winner of this second edition of ScienceBattle with his talk about telerobotics! The prize? 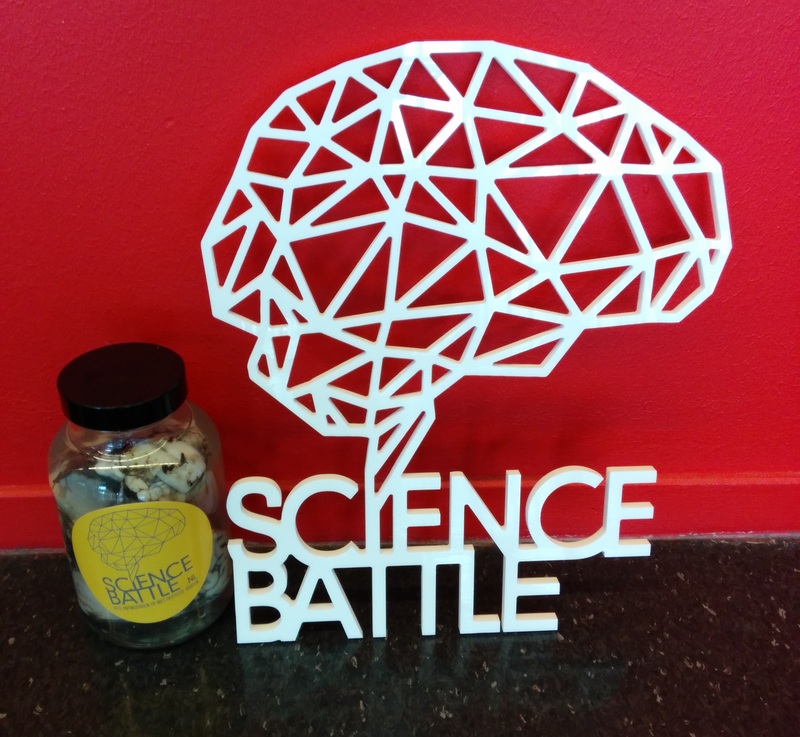 The hard-won ScienceBattle award, a honor full mention in the ScienceBattle hall-of-fame and sheep’s brains in formaldehyde! In this second try-out of the ScienceBattle theater show, Jeroen competed three other young researchers in an interactive and energetic 10 minutes performance in front of a diverse audience. Topics ranged from luminescent layers on windows to obtain sustainable energy, the effect of working at home on efficiency to risks during blood transfusions. In Jeroen’s talk, he explained the concept and challenges of telemanipulation, the philosophy behind Haptic Shared Control, and the significance of his work by means of several illustrative demos and research results. But above all: the whole show was big fun to watch! 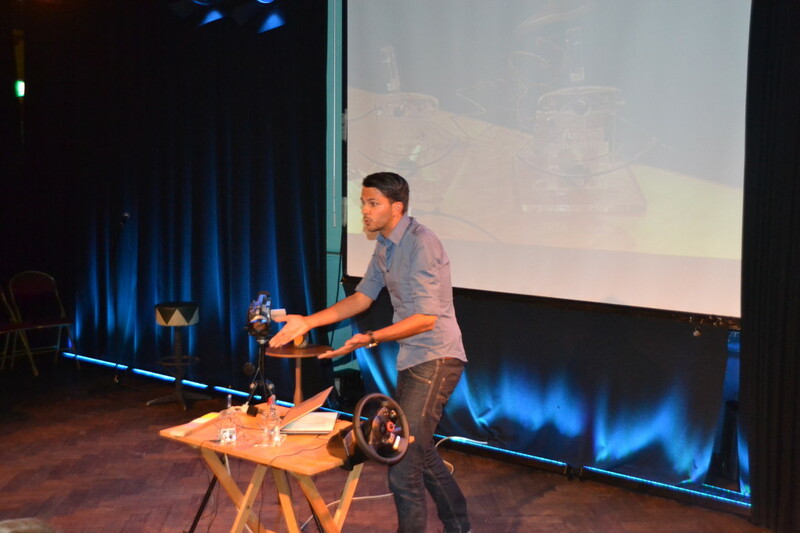 With lots of interaction with the enthusiastic audience, there’s a good chance Jeroen and the other ScienceBattle-ers will soon be performing in theaters in the Netherlands. 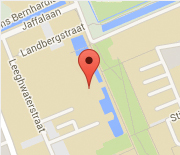 Please be cordially invited to join for the next ScienceBattles!